Make your beauty sleep count with a velvety night cream that helps to minimize the appearance of fine lines and wrinkles. Whey protein improves the appearance of your skin’s firmness while a vitamin A derivative hydrates and moisturizes skin. 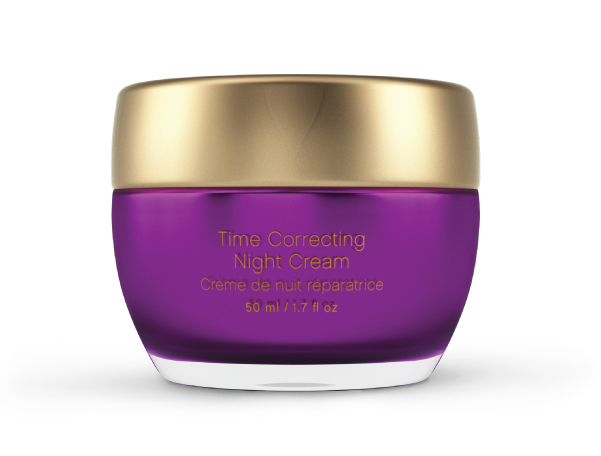 More about Younique Royalty Time Correcting Night Cream: This thick, hydrating cream helps reduce the appearance of fine lines and wrinkles. Nourishes skin with a smooth, velvety texture. Helps to minimize the appearance of ne lines and wrinkles. In the evening, cleanse with your choice of Younique Royalty cleansers. If necessary, mask with the Younique Royalty Detoxifying Mask. Tone with the Younique Royalty Rose Water Toning Spritz. Use the Younique Royalty Uplift Beauty Serum and/or the Younqiue Royalty Instant Lifting Serum. Scoop out enough night cream to cover your face and neck. Starting at your forehead, in a butter y motion go down over your cheeks, up to your nose, over your upper lip, and down over your chin. Massage the remaining product onto your neck. Activen XEP, a nature-inspired complex of amino acids, reduces the appearance of ne lines and wrinkles. A stable derivative of vitamin A provides the bene ts of retinol without the irritation, improving skin hydration and creating a more youthful appearance. A unique complex of plankton extract, baobab (bay-o-bab) oil, and vitamins A and E reduce free radical damage. Whey protein helps improve the appearance of skin rmness.